Shiraz pairs very well with many types of foods. It’s one of the most versatile wines when looking for a food pairing, likely because it is made in so many different styles. So what is really the difference between Shiraz and Syrah? Nothing – they are actually the same Varietal. Though far from an official distinction, “Shiraz” will generally come from a hotter environment and might be a slightly lighter, more fruit forward wine with less acid on the finish. It’s Australia’s “national” red wine and much as it galls me as a proud native Californian, some of the best Shiraz comes from down under (somewhat ironic because as I write this post, I’m on a 747 flying home from Australia). Wine that is called “Syrah”, more often than not, are a little deeper in color, with less fruit and a little more tannins and acid on the finish but this is strictly the whim of the winemaker. For this post, we’ve chosen foods that go with the lighter, fruitier style. If you are looking for food pairings with Syrah made in a more traditional style, check out our blog post on Syrah food pairings. Given that this post is for pairing lighter Shiraz with food, you’ll want to avoid bigger fattier meats or food with a lot of acid. Leaner red meat, stew, and mildly spicy ethnic foods are the best foods to pair with Shiraz. 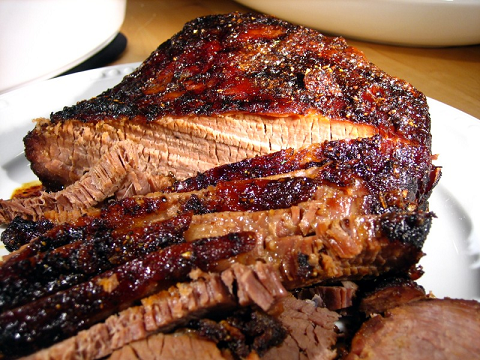 Brisket, that classic Texas a slow cooked BBQ is a perfect accompaniment to Shiraz. Except for a large fat cap on top, its a lean meat that is quite tough when quickly grilled. When cooked slowly with a mildly spicy rub, its flavors really shine and a perfectly accented by a slightly spicy Shiraz. 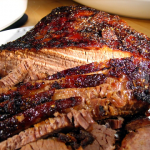 Make sure you have lots of time on your hands before starting this beef brisket recipe. Looking for a wine to Pair with a lean leg of Lamb? Look no further than Australia’s favorite red wine, Shiraz to pair with one of their favorite meats. I had a beautiful Shiraz with a lean, grilled lamb two nights ago in Australia and it couldn’t have been a better combination. If you’re not a huge lamb fan, they try grass fed beef. The flavor is similar to a very mild lamb but has much less “gaminess”. 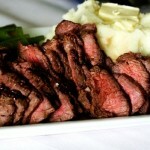 Admittedly, London Broil is not the most tender of meats but it’s still a common one for grilling. It’s lower fat content does well with a lighter tannins in a Shiraz. Are you sensing a theme here with Shiraz and beef? It’s a natural pair and slowly cooked, melt in your mouth beef stew is great with Shiraz. This beef stew recipe goes equally well with Syrah. This mildly spiced Mexican stew is great with Shiraz as well as other medium body reds. Heresy as it may be to many Mexican cooks, if you don’t have a good source for dry New Mexico chili’s, you can substitute chili powder in your Chili Colorado recipe. Just use about 4 tablespoons of chili powder. Taste your concoction after about 30 minutes. If you like it a little more flavorful, you can continue to add chili powder. Just give it about 10 minutes to cook in and try it again. Also adding smoked paprika imparts an additional flavor without adding heat. Like the beef stew above, this one goes equally well with Syrah. 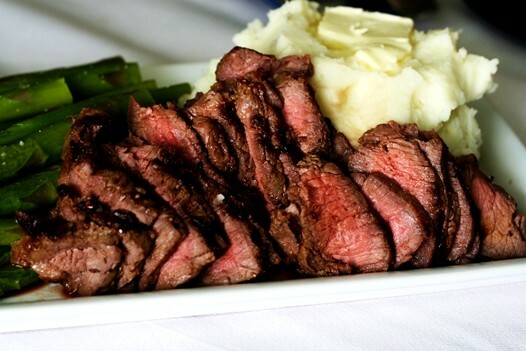 As you can see, we’ve leaned heavily to beef for pairing with Shiraz. Pork or even duck with strongly flavored sauces can also work, providing the sauce is not sweet. If you are just not a white wine fan, a softer Shiraz can act as compliment to “fishier” fish, particularly salmon. Shiraz is not a great cheese wine. If you really want Shiraz and cheese, go with softer, creamier cheeses like Camembert, Gruyere or even a smoked Cheddar. 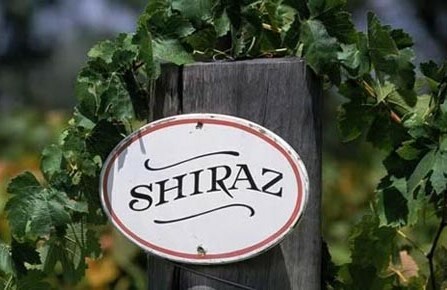 Learn more about Shiraz like serving temperature and the ability to age by clicking here. These are some excellent pairing suggestions. Since you are a proud CA native, have you tried the Temecula winery reds? Stacey...interesting that you should ask about Temecula Valley Reds. Karen and I were tasting in Temecula and Ramona Valley on Thursday and Friday and I am in the middle of finalizing those blog articles. We didn't taste any Shiraz at the wineries we visited, but we did find a number of Sangioveses that were noteworthy. It seems every region eventually finds it's go to Varietal, and if I had to put money on one for Temecula, I'd put it on Sangiovese.